You’ve been meal prepping like a pro and diligently sticking to your workout routines, so why hasn’t the scale moved an inch? Eating healthy and exercising may be the dynamic duo that helps with weight loss, but common weight loss mistakes may be preventing you from reaching your goals. With weight loss, you lose muscle and fat. But the amount of either is affected by your exercise routine. Not exercising at all, or exercising too little will decrease the amount of muscle mass you lose and lower your metabolic rate. On the other hand, exercising too much and forcing your body to lose more calories, might damage your adrenal hormones (regulates stress response) which may lead to stress. If in doubt, try to alternate an intense cardio-day with a strength-training day. Rest one day a week, and do a slow stretching workout like yoga once a week. If you’re only doing cardio, without lifting any weights, this could be why you’re not seeing any results. Studies have shown that weightlifting is one of the most effective exercises for weight loss, gaining muscle and increasing metabolic rate. What’s more, it also boosts belly fat loss. An exercise routine that combines aerobic exercise and weightlifting would be the most effective. Reaching for foods with a low-fat label might seem like a good choice, but this could be the reason you might binge-eat later in the day. Low-fat options won’t make you as full as full-fat options and worse, many of these products are laden with sugar to improve their taste! Skip the low-fat foods and choose minimally processed foods and those with good fats like avocado, almonds, olives and fish instead. If you’re aiming to lose weight then protein is your best friend. Protein helps to increase feelings of fullness, decrease your calorie intake, increase your metabolic rate and protect your muscles during weight loss. Choose high-protein foods like eggs, white meats like chicken and fish and legumes like beans. Remember not to overdo it though; too much protein can lead to the excess getting stored as fat. Men should have approximately 56g per day and women should have 46g. Read What kind of fruit-juice is best? 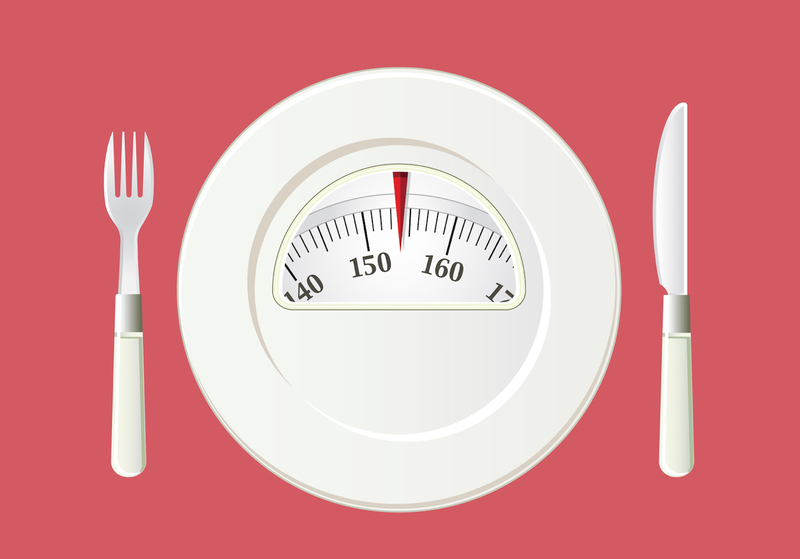 The weight loss rule is, you need to burn more calories than you’re eating to lose weight. Instead of just counting your intake to make sure you aren’t having too much, you should be checking that your diet is balanced. Furthermore, one of the biggest calorie traps is big portions – just because something is healthy. Foods like nuts and cheese are good for you, but if you have it in large amounts, your calorie intake will skyrocket. On the other hand, decreasing your calorie intake too much may lead to muscle loss and slow down your metabolism. All types of fibre helps with weight loss, but research shows that a soluble fibre called viscose is especially helpful, as it reduces your appetite by forming a gel that holds water. The gel moves through your digestive tract and makes you feel full. It reduces your appetite and calorie intake, so when your fibre intake is high, fewer calories from other foods in mixed meals aren’t absorbed. Try doubling your intake with high-fibre foods like wholegrain bread or rice, beans, jacket potatoes and bran based cereal. Don’t focus on the scale weight as it’s only a measure of weight change. It’s also influenced by things like fluid fluctuations and how much food remains in your system. Measuring your waist with a tape measure and taking monthly pictures of yourself is far more effective. Remember, you may be losing fat but gaining muscle which is heavier. The good news: muscle is leaner than fat! Add healthy fats in your meals. They help to keep you feeling full, which curbs overeating. Choose oily fish, dairy products and seeds. Keep sipping from your water bottle; water helps you burn calories and decrease your food intake. 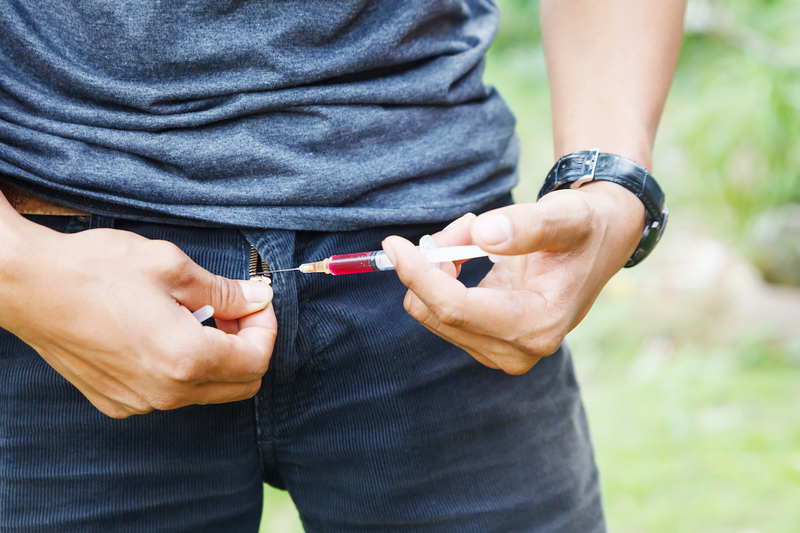 Can Botox treat erectile dysfunction?